The 2018 FIFA World Cup – Discussion Questions for ESOL Classes! Are your ESOL and EFL students keen to discuss the 2018 FIFA World Cup in Russia, which begins today? You could use these FREE discussion questions to get the conversation going! 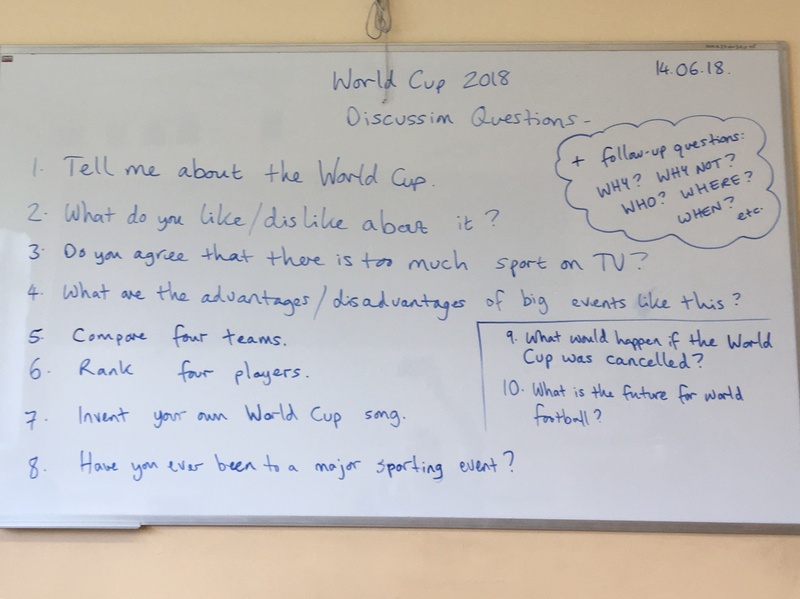 World Cup 2018 – Discussion Questions for ESOL Classes! Tell me about the World Cup. Do you agree that there is too much sport on TV? What are the advantages / disadvantages of big events like this? Invent your own World Cup song. Have you ever been to a major sporting event? What would happen if the World Cup was cancelled? What is the future for world football? This entry was posted in Discussion, EFL, ELT, English, ESL, ESOL, Free, Learning, Lessons, Listening, Speaking, Teacher Training, Teaching, Vocabulary and tagged discuss, discussion, discussion questions, FIFA, fifa world cup 2018, football, free, questions, speak, sport, talk, World Cup on June 14, 2018 by admin. Battle of the Commonly Misspelled or Misused Words – FREE Infographic! Having problems with spelling common English words? Don’t know whether to use it’s or its? Not sure whether your stationery should be stationary – or is it the other way round? This entry was posted in EFL, ELT, English, ESL, ESOL, Infographics, intermediate, Reading, Spelling, Teaching, Tips and tagged infographic, misused words, Pinterest, reading, spelling, student, study, studying, writing on June 12, 2018 by admin. Summer Vocabulary Practice for ESOL Classes! Here are 40 summer vocabulary words and phrases for ESOL and English classes. You can use them to create interesting vocabulary lessons with your English language students. Check out some of the lesson plans that you can use with these cards here. This entry was posted in Beginner, EFL, Elementary, ELT, English, ESL, ESOL, Free, IELTS, intermediate, Learning, lesson plan, Lesson Plans, Lessons, Listening, Printable, Speaking, Teaching, Uncategorized, upper intermediate, Vocabulary, Worksheets and tagged class, EFL, ELT, ESL, ESOL, free, fun, group, learning, printable, summer, summer vocabulary, vocabulary, worksheet on June 10, 2018 by admin.